Thanks to street style influencers, sportswear is more popular than ever and no longer limited to the gym. A lot of us are busier than usual so wearing athletic gear outside the gym just feels practical and of course comfortable. However, some styles are specifically made for working out. 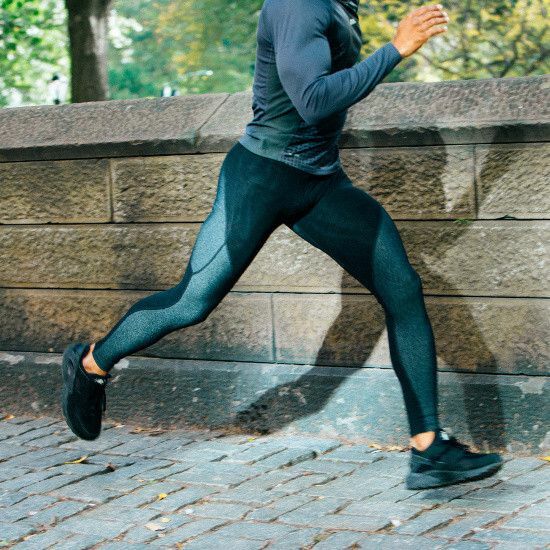 Compression pants and running tights are a perfect example of athletic gear that’s specifically made for exercising. These form-fitting pants have several benefits such as holding our muscles in place to increase blood flow, which can boosts performance. The only issue with tech tights is that they’re a little thin. Scratch that, they’re super thin. A lot of us layer our tights with shorts, because a VPL and having everything just flopping around can be a little uncomfortable. However, don’t feel obligated to spend money on both, because shorts and tights can be worn alone. A lot of times tights will cost just as much as a pair of shorts, so it’s silly to spend double if you don’t need both. It all comes down to personal preference. I’ve tried working out in just a pair of running tights and it’s actually super comfortable. However, I wouldn’t recommend trying this during peak hours, because you’re guaranteed to draw attention to yourself. The only thing that’s non-negotiable is wearing tights outside the gym. Wearing tights during a workout sesh is one thing, but wearing them to run errands for example is just weird. I didn’t think wearing tights without shorts was a big deal until I saw it real life. There’s an older gentleman in my neighborhood that typically goes grocery shopping after his evening run, which would totally be normally if I wasn’t forced to make eye contact with his junk. Wearing as little clothing as possible makes sense when you’re working up a sweat, but it’s just plain weird when you’re going through your daily routine.